Hello and welcome. 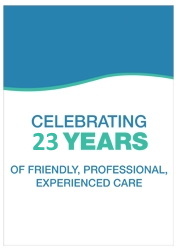 I’ve been practicing physiotherapy for 25 years, and when I set up my clinic in 1997 it was with the aim of providing a professional, friendly and welcoming environment, with a level of clinical expertise and advice that would get patients back to full physical fitness as quickly as possible. At Nicki Haves Physiotherapy we are a team of friendly, experienced, Chartered Physiotherapists working in a modern, well-equipped clinic. We specialise in a wide variety of areas including joint, muscle, and tendon conditions, back and neck problems, sports injuries, orthotic fitting, arthritis, and women’s health. The clinic also offers Pilates and Podiatry. Whatever your condition, we aim to get you better and help make sure you stay that way. Our website will tell you more about the conditions we treat and how we treat them. If there is anything you’re not sure about, you can check our handy frequently asked questions page or call us on 0161 748 7272 and we will gladly discuss your needs.